plastic alligator» Blog Archive » Risk! 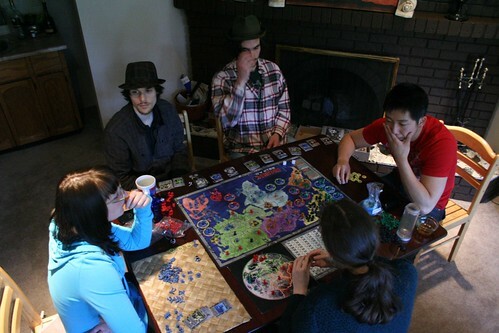 Wesley asked me a few times last week if I was interested in playing Risk. I said sure and he called up some other friends to play. It seemed to require a lot of organization and planning to get everyone together. Yeah, now I remember – the game takes a long time! I got a lot of knitting done and while we were talking I realized how much of a geek the bassist from my roommate’s band is. We spent a lot of time talking about Isaac Asimov stories while everyone else looked on with a bewildered lack of understanding. Halfway through someone asked if the oven was on because we could all smell burning and we looked out the window to see a huge plume of smoke. 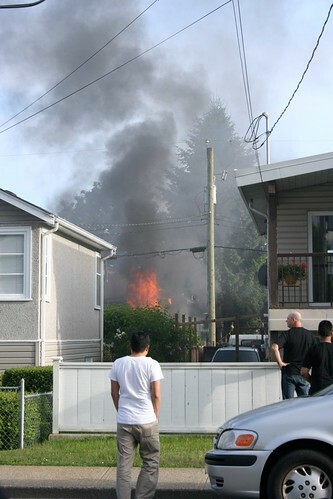 The neighbour’s house was on fire. 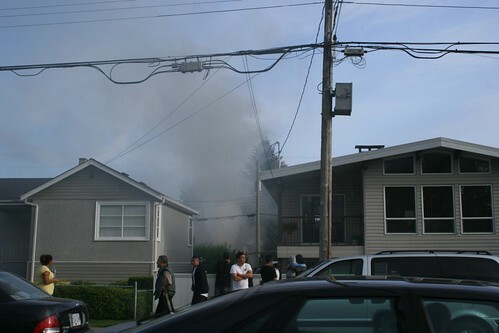 We went out to watch but we were immediately downwind of the smoke so we went back inside. Ten hours later I got tired of playing and went kamakaze, attacking everything I could and went to bed. I had a lot of things to do the next day and I didn’t want to be up all night. Too bad I can never sleep. This entry was posted on Thursday, May 27th, 2010 at 12:56 am and is filed under Uncategorized. You can follow any responses to this entry through the RSS 2.0 feed. You can leave a response, or trackback from your own site.